Located on the western side of Rarotonga, Castaway Resort is a quaint and secluded adults only boutique resort, a 15 minute drive from downtown Rarotonga. Set right on the edge of the lagoon, Castaway Resort offers magnificent views of the sunset, white sandy beach, and the reef and ocean beyond. Featuring 12 self contained Studios, Suites and Villas, Castaway Resort is perfect for couples or groups of friends travelling together. Onsite facilities include a restaurant, beach bar and swimming pool. 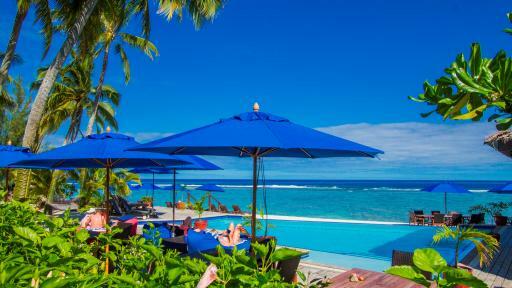 Situated on the north coast of Rarotonga, Club Raro Resort is only a short drive from Rarotonga International Airport and the main township of Avarua, with its shops, banks, restaurants and bars. With meandering mosaic pathways, swaying palm trees and tropical gardens, Club Raro Resort is the ideal place to relax and unwind on your South Pacific holiday. 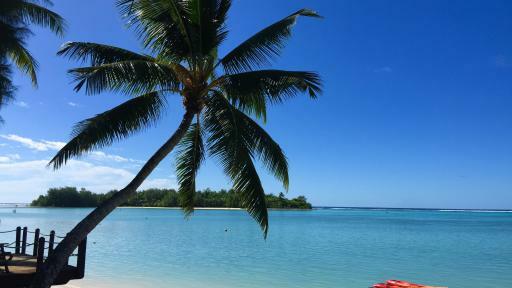 Laze by the pool sipping on a cocktail, unwind with a relaxing massage, or be a bit adventurous with some snorkelling and diving - Club Raro Resort has something for everyone. 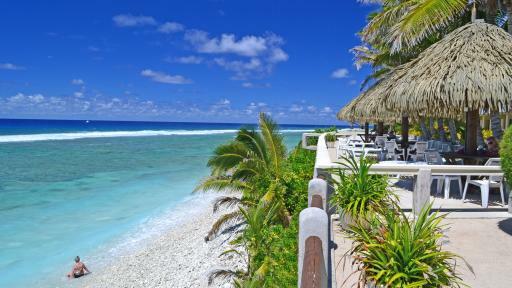 This Cook Islands accommodation is located on the sunset side of Rarotonga, offering boutique style accommodation. 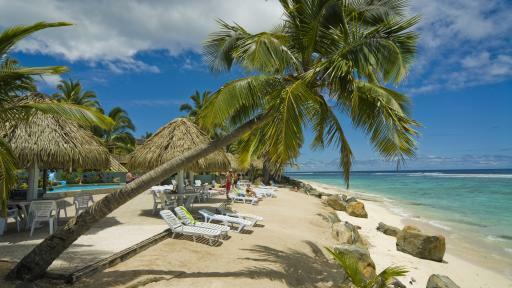 Crown Beach Resort & Spa is set on 4.5 acres of gardens that fronts onto the stunning crystal waters of the Pacific Ocean. 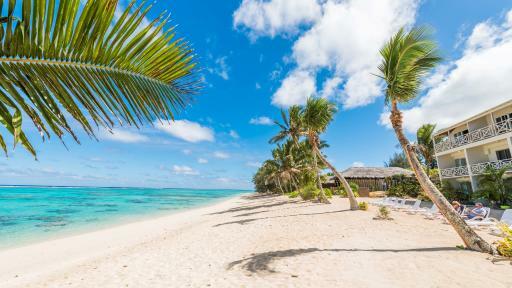 This Cook Islands resort is a popular choice amongst couples looking for a relaxing getaway. Situated on the south west corner of Rarotonga, Lagoon Breeze Villas is island accommodation set in 4 acres of exotic gardens just 8 kilometres from the airport and close to the areas local shops and restaurants. The resort has an amazing array of facilities as well as unrestricted beach access right across the road from your accommodation. 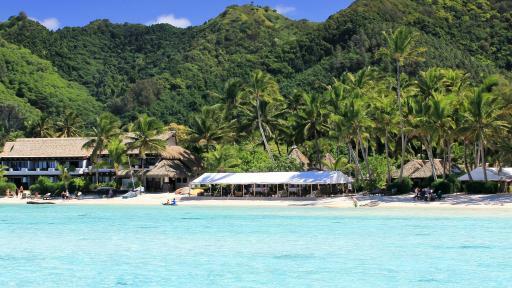 Little Polynesian Resort is the ultimate in boutique luxury and intimate Cook Islands accommodation. With only 14 rooms in total, guests can be assured of impeccable service and a true Cook Islands experience. Located on the stunning marine reserve of Titikaveka on the island of Rarotonga, Little Polynesian Resort is the ideal beachfront, romantic destination. Soak up the glorious Rarotongan sunsets at Magic Reef Bungalows, a small and intimate resort featuring self-contained Cook Islands accommodation. 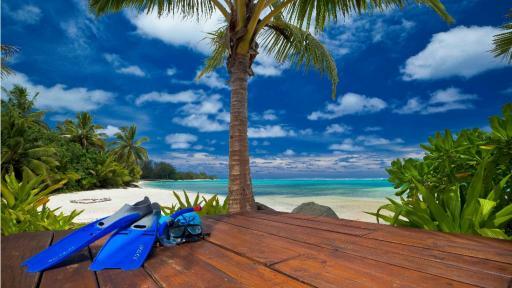 The true ambience of the Cook Islands can be experienced here. Located right on the beachfront it is certainly an ideal romantic getaway location. Manuia Beach Resort is located on the sunset coast of Rarotonga, just 10 minutes from the airport, 5 minutes from one of the world's most picturesque golf courses and 15 minutes from the main town of Avarua. With a reputation for luxury adult boutique accommodation, the hotel adopts a policy of children under 16 not being permitted to stay. Located on the southern coast of Rarotonga, Moana Sands Beachfront Hotel & Villas is perfect for swimming, snorkelling and kayaking and the 10 km stretch of sand that runs in front of the hotel means the beach is right on your doorstep. With an excellent range of facilities, the resort is luxury accommodation and convenience all in the gorgeous setting on Rarotonga's renowned lagoon. Muri Beach Club Hotel is a perfect blend of deluxe accommodation set in a stunning location with excellent facilities and the peace of mind of an adults only resort. It has an enviable range of facilities including a fine dining restaurant, large central pool, beauty and spa centre, personalised wedding and honeymoon coordinator, business centre, and aqua-centre. 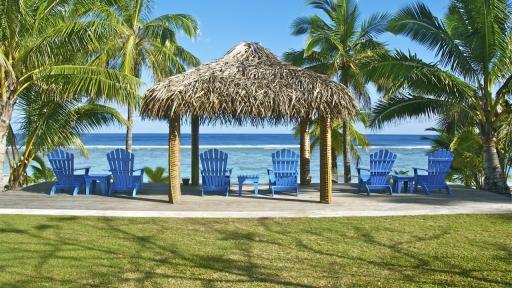 Muri Beach Resort is located on the beachfront in Rarotonga. This intimate boutique style accommodation with 20 lovely villas to choose from is run on 100% solar powered energy and all villas feature their own private balcony, kitchenette and Jacuzzi spa bath. 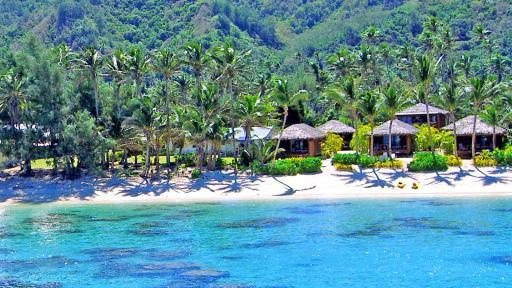 Muri Beach Resort in Rarotonga is the perfect getaway for all travellers visiting the Cook Islands. Muri Beachcomber is just 10 kilometres from the main township of Avarua, and boasts a stunning location on the shores of Muri Lagoon. This beachfront property is set on two and a half acres and is surrounded by lush tropical gardens, and offers guests self contained affordable accommodation and a great range of onsite facilities. 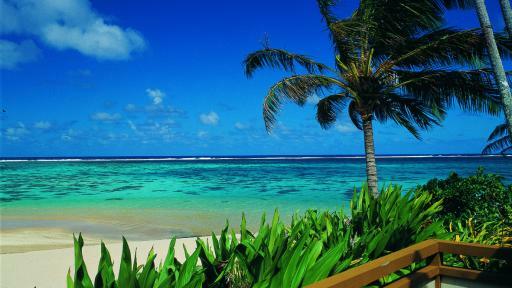 If you are after a luxurious boutique beachfront resort, Nautilus Resort in the Cook Islands is the destination for you. Nautilus Resort embraces the region's cultural heritage with Polynesian inspired suites and bedrooms each with their own salt water plunge pool. Offering world class facilities Nautilus Resort delivers an unforgettable beachfront bar and restaurant overlooking the magnificent Muri Lagoon. 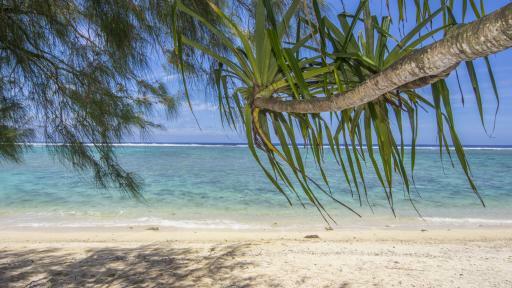 The property is just 20 minutes from Rarotonga International Airport and postcard perfect with a mountainous backdrop feeding down to the sapphire ocean waters. This Cook Islands accommodation boasts 64 rooms that are set on lush tropical gardens all of which are within easy each of the stunning white beach that the resort fronts onto. 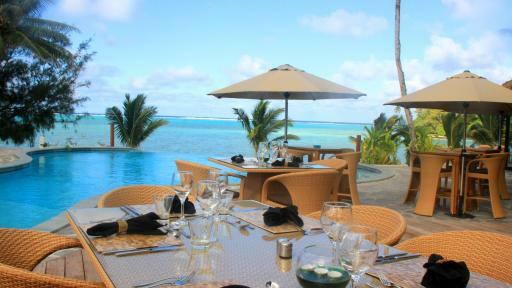 Pacific Resort Rarotonga is with easy reach of Rarotonga attractions and the airport. A swimming pool, restaurant & bar, kids club plus more are all facilities and services that are available for guests to enjoy. 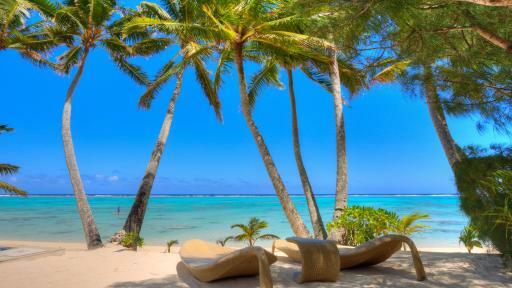 Palm Grove Rarotonga is authentic Cook Islands accommodation on the south coast of Rarotonga located in the village of Vaimaanga in the peaceful area of Vaima. Lazing by the pool with a tropical cocktail is always a popular way to spend your time but with so many water sports and activities so close to your accommodation the more adventurous will not be short of an adrenaline rush. 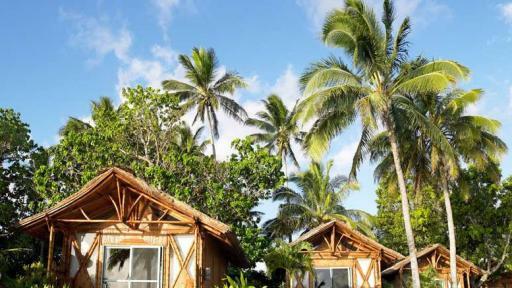 Rarotonga Beach Bungalows are set on the south coast and situated at the front of the entry to Rarotonga's renowned lagoon. The resort offers a number of activities including nature walks, kayaking and snorkelling, with complimentary use of snorkelling equipment for guests to make the most of the abundant and colourful marine life. 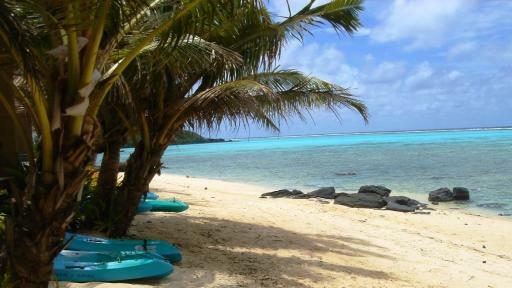 This is an ideal couples getaway destination for those wanting to escape to the Cook Islands. Enjoy the secluded and romantic atmosphere of the adults only villa accommodation of Royale Takitumu. 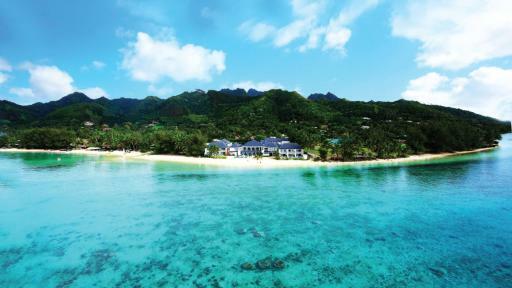 Just metres from Rarotonga's pristine beach, the resort offers deluxe accommodation with all the modern comforts. A great range of onsite leisure facilities complete your personal holiday experience. Rumours Luxury Villas & Spa offers an amazing destination for a relaxing and memorable couples retreat or honeymoon. These villas really are the ultimate holiday accommodation, with all the creature comforts and then some! Equipped with everything you could possibly want and more, who says you have to be rich and famous to live the lifestyle? 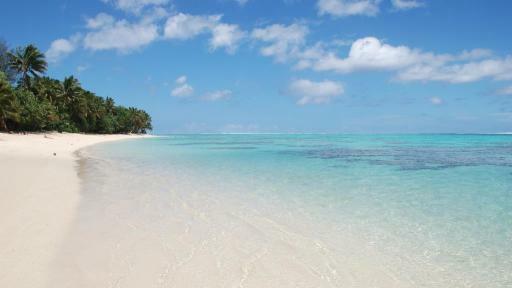 If you are looking for a beachside location exclusively for adults then Sanctuary Rarotonga on the Beach is for you. This Cook Island accommodation is only 12 minutes' drive from the Rarotonga International Airport. There is plenty to do during the day at the property, sip on a cocktail at the swim up bar, enjoy a relaxing massage or discover colourful fish and coral in the lagoon. Couples and honeymooners will feel right at home. Dream no longer. Sea Change Villas on the popular Titikaveka lagoon is beachfront, luxury Cook Islands accommodation that can make your dreams a reality. Sea Change Villas offer spacious, modern self contained accommodation, with all villas featuring lagoon views and a private pool. This boutique resort offers the best service in a stunning location. Sokala Villas offer a stunning waterfront location on famous Muri Lagoon, overlooking nearby sandy islets. Four of Sokala's spacious villas have their own swimming pool, surrounded by large wooden decks. The villa interiors feature slate floors and natural pine linings. Sokala is a popular honeymoon hideaway and a great venue for small romantic island weddings. Sunset Resort is ideally suited to those who are after accommodation with kitchen facilities and for those who enjoy peace and privacy. This Cook Island resort boasts a stunning beachfront location with 2 swimming pools, a restaurant and 2 bars, tour desk and scooter hire. Guest can enjoy snorkelling directly off the beach plus free scuba lessons in the resorts pool. The resort welcomes children 12 years and over only. Indulge yourself at Te Manava Luxury Villas & Spa, fully self contained 5 star Cook Islands accommodation. Your worries will disappear as you soak in the luxurious island atmosphere in your private villa set in either tropical gardens or right on the beachfront of Muri Lagoon. Te Manava Luxury Villas & Spa is the ideal destination for that romantic island holiday. Make Te Vakaroa Villas your next Cook Islands getaway destination. With only six villas in total, guests are assured of absolute beachfront, luxury and tranquillity. The spacious and modern design of the villas offers the best of indoor and outdoor living and oozes in tropical ambience. Te Vakaroa Villas is Cook Islands accommodation perfect for couples and teenage families seeking a distinctive island holiday. This Cook Island accommodation is set just a few metres walk from a white sandy beach, a perfect place to relax, swim or snorkel. All rooms are equipped with a full kitchen which includes light cooking equipment so is ideal for those who enjoy self catering. 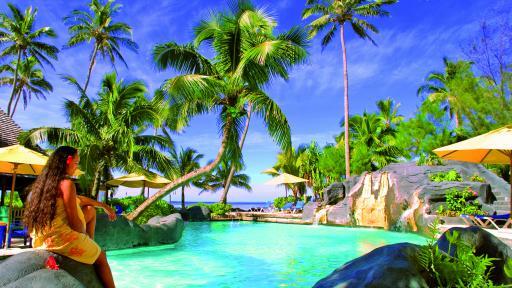 The Black Pearl at Puaikura is surrounded by tropical gardens and offers a large fresh water swimming pool. The Edgewater Resort & Spa is known for being in one of the best locations on the island of Rarotonga in the Cook Islands. With it's local island charm and and warm friendly staff, your worries will melt away as soon as you arrive. This Cook Island accommodation is one of the largest resorts on Rarotonga, surrounded by lush tropical mountains on one side and crystal clear lagoons on the other. The excellent facilities, amazing cuisine and nightly entertainment, will have you never wanting to leave this tropical paradise. The Rarotongan Beach Resort & Lagoonarium is located on a beautiful white sandy stretch of Aroa Beach in the Cook Islands. 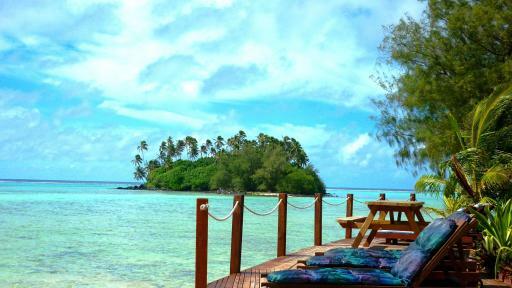 The pristine waters of the Aroa Lagoon are just steps from the extensive range of accommodation choices at this Cook Islands resort. Catering for families as well as couples and groups The Rarotongan Beach Resort & Lagoonarium features a wide range of onsite facilities for guests to enjoy including a day spa, kids club, teen zone, swimming pool, restaurants & bars, wedding facilities plus much more. If you are looking for a relaxing Cook Islands holiday then The Rarotongan Beach Resort & Lagoonarium is the perfect choice for you.